This beachfront vacation home reflects a modern sensibility that is mindful of its beautiful, natural location on the South shore of Lake Pend Oreille in Sandpoint, Idaho. The creative, open custom design maximizes the natural light and ambient beauty of the site. Simple, clean design lines coupled with exacting details result in a stunning combination of functionality and beauty. Hard surfaces such as ground aggregate concrete floors, exposed structural steel and extensive glass are juxtaposed with soft organic materials for an overall harmonious effect in this luxurious vacation cabin. Contemporary custom vertical grain fir cabinetry, furniture and door and window trim provide warmth and livability in concert with the wild beauty of North Idaho. In building this luxury residential home, R.W. Bianco Construction was able to exercise their expertise in custom construction for the special desires of clients. Quality was foremost, as in all R.W. 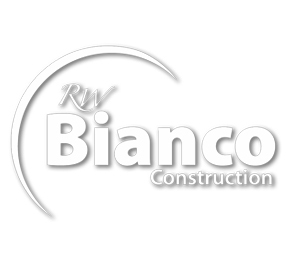 Bianco Construction projects, and the modern design aesthetic allowed R.W. Bianco to shine in showcasing our ability to adapt to client desires, truly custom building. From rustic homes in the woods to lakefront bungalows, R.W. Bianco Construction can bring each customer’s vision to life, from foundation to finish work, cabinets and furniture.